Domaining for Pros: Harrassed by Domainers newsletters and emails? Harrassed by Domainers newsletters and emails? I receive a lot of email with offers to buy domain names, automated subscriptions to domainers newsletters: crap messages, stupid content and very BUT VERY bad domain names I am offered to buy. Most of the time, I really wonder why on earth would anybody register such a domain name. ...there is a letter I like to receive. The letter of Domain Holdings is prepared differently and its content is not focused on selling me a domain name. I like the introduction actually. 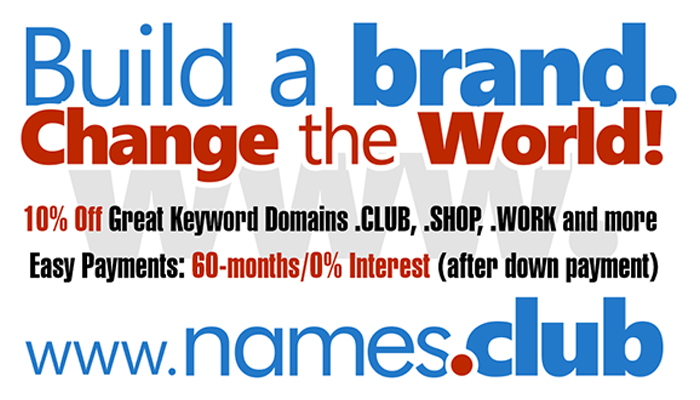 And if you didn't yet register your .DOMAINS domainname, do it with AlpNames?